Dr. Oppermann obtained his Orthodontic Specialty Certificate in 1993 from Dentists Association of Sao Paulo and master’s degree in oral sciences focused in orthodontics in 2003 from SL Mandic dental School - Campinas - Brazil. Dr. Oppermann has been involved with Bioprogressive and Sectional Mechanics Studies. His connection to Dr Robert Ricketts years ago and his presence in several studies on those subjects help this development. His knowledge in growth and development of the human craniofacial complex together to Ricketts cephalometric analysis and diagnostics system give another perspective to treatment planning. He is also involved as adjunct lecturer at the Department of Orthodontics at the University of Illinois at Chicago since 2010. Apart of those attributions Dr. Oppermann is an active and enthusiastic professor and lecturer, having visited many countries for teaching based on Bioprogressive Therapy field. 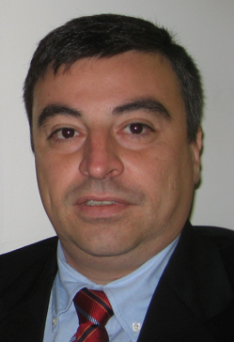 Dr. Sanchez obtained his Orthodontic Certificate in 1993 from the Association of Dental Surgeon’s of Sao Paulo and master degree in oral sciences focused in orthodontics in 2003 from SL Mandic dental School - Campinas - Brazil. Dr. Sanchez has been teaching the Bioprogressive philosophy since 2004, starting the Ortho Program at the Dental Surgeon’s Association in the city of Campinas - SP. In 2006 joined the Specialization Ortho Program at Sao Leoploldo Mandic University as a full time faculty on the Bioprogressive program where he is still teaching and conducting researches based on sectional mechanics associated with different growth patterns. He is also involved as adjunct lecturer at the Department of Orthodontics at the University of Illinois at Chicago since 2010. Dr. Sanchez has his orthodontic practice in the city of Campinas S.P – Brazil. In 2017, Dr Sanchez join Department of Orthodontics Univ of Illinois at Chicago as full time clinical assistant professor where he will continue teaching the bioprogressive philosophy, mechanics and treatment planning. Dr. Kusnoto obtained his master’s degree in oral sciences and specialty certificate in orthodontics in 1998 from University of Illinois at Chicago and did his fellowship in the University of Illinois at Chicago (UIC) Craniofacial Center in 1999. Dr. Kusnoto has been involved in the implementation of digital technology in the Department of Orthodontics at the UIC. 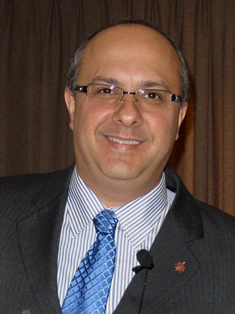 He is an associate professor and clinic director at the Department of Orthodontics UIC since 2005. His degrees in computer science as well as in the field of dentistry/orthodontics make his contribution significant to this project. Dr. Kusnoto’s knowledge in growth and development of the human craniofacial complex is complementary to his teaching in the field of orthodontic diagnosis and treatment planning. He also actively involved in research and teaching on the subject of diagnosis and treatment planning particularly in using Bioprogressive principles. He is involved in the development of the Modern Bioprogressive Web-Portal. Much of his work has been published in refereed journals. 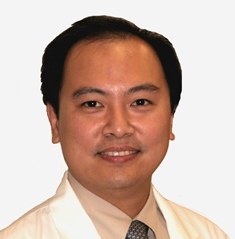 Dr. Budi Kusnoto actively involved in research involving management of craniofacial patients and orthognathic surgical cases as well as teaching on the subject of diagnosis and treatment planning utilizing 3D imaging technology. He is also an active member in good standing of American Association of Orthodontists, Illinois Society of Orthodontist, and American Dental Association. In 2017, Dr Kusnoto become tenured full Professor, interim Department Head and Program Director of the orthodontic post graduate master and specialty training at the Department of Orthodontics Univ of Illinois at Chicago.